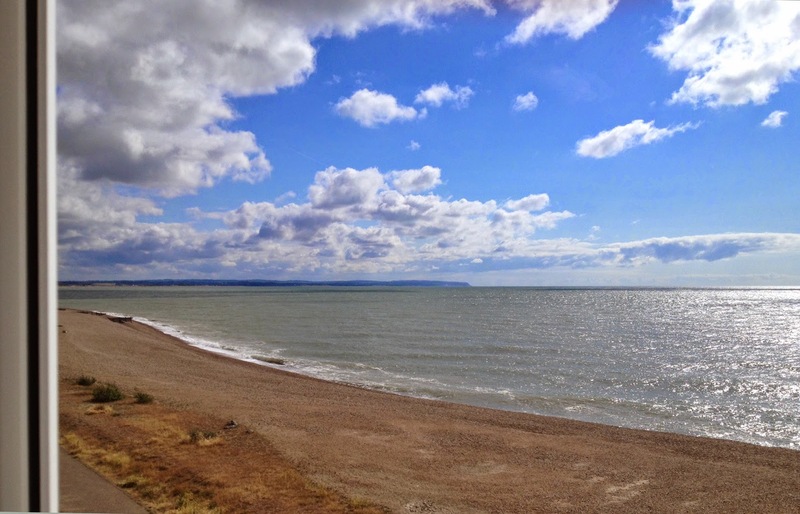 Hi All, I am writing this against the soothing sound of the waves breaking here at Sovereign Harbour…they are surprisingly big waves for such a lovely sunny day, the effect of a strong easterly breeze. So runs the review in the May edition of Leisure Painter of the DVD I recently released. 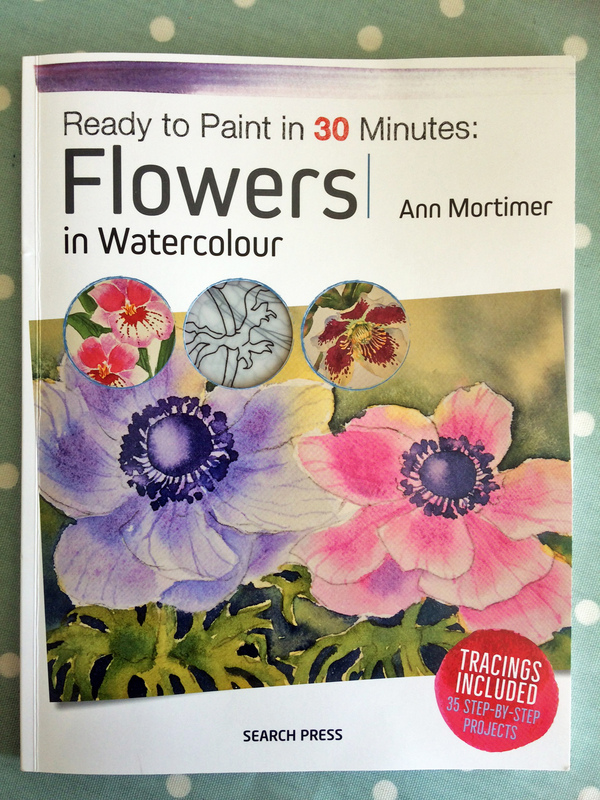 I can hardly believe that what had begun as a tentative idea sketched out on the back of an old painting was now a reality; because, sure enough, the DVD “Watercolour Techniques by Ann Mortimer” is out there and for sale on Amazon and on my website. 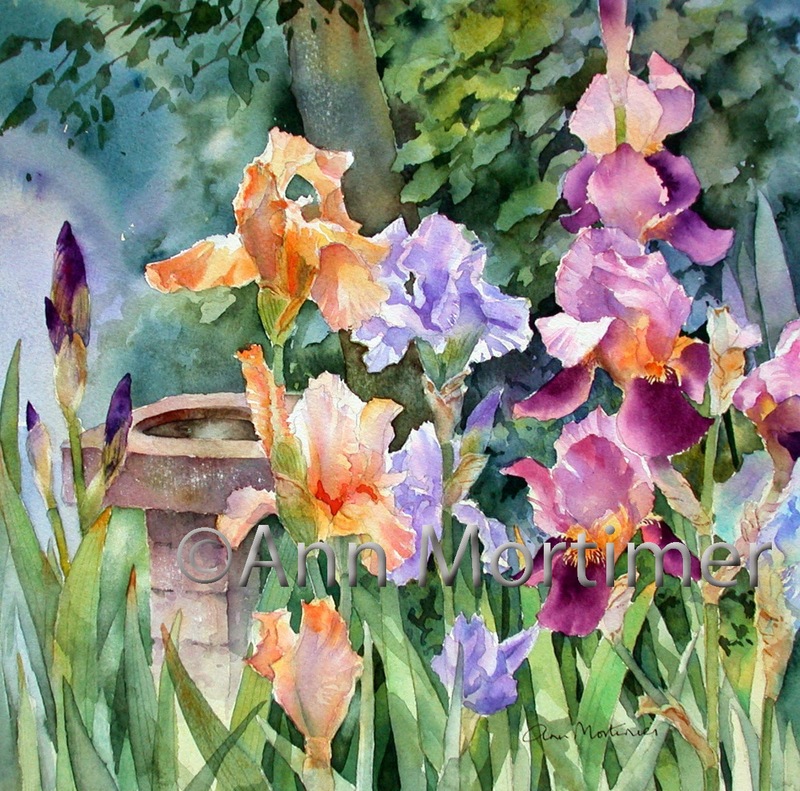 I have been sharing my way of painting with watercolour for ten years both in classes and on social media sites such as Facebook and my blog and people were asking me whether I had made a video. It seems they wanted to actually see in real time how I did things like background washes and negative painting. I was lucky enough to know someone involved in the creative industry (my son Steve) who had already filmed and edited videos. And I had my spacious studio which turned out to be the (almost) perfect place for filming. Between us we gathered together the necessary equipment, two cameras, tripods, microphones, lighting, laptops and video editing software. We started out with the intention of filming short three minute snippets for YouTube, but soon realised that we needed more time and that a DVD was the best format. We had noticed that the painting demonstrations on the market showed artists producing magical and masterful work but often not really explaining the theory and the principles behind the actions. We thought that in our DVD we would try and bring a deeper understanding while demonstrating the techniques. We had to map out the process and to impose a structure even before filming started. 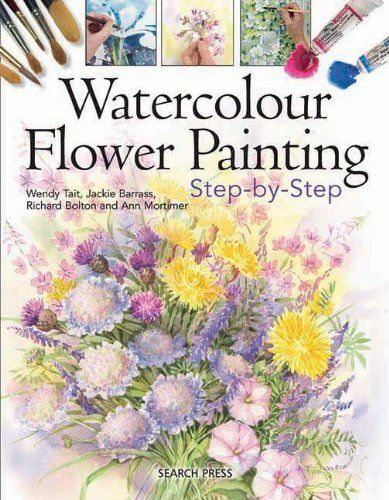 Everyone knows that watercolour waits for no man (or woman) and wielding this dynamic and temperamental medium while trying to explain the whys and wherefores was a challenge. We were only interested in producing something which would be useful and relevant and of good quality. We used two main ways to bring clarity. We set up a split screen situation with me explaining as the “talking head” and also we used an information panel where the important details about materials were there to be read on screen. There were difficulties! many to do with the sound on the DVD. With my studio not being purpose built and sound proofed, we became very aware of our surroundings. It seemed everyone was out cutting their hedge or strimming their borders! All the neighbourhood children were suddenly out in the garden, laughing and playing! Then I was suddenly required to become a presenter, talking, and preferably saying something that made sense, in front of a camera. Not my main area of expertise! There was also the not inconsiderable challenge of painting confidently while explaining difficult concepts. 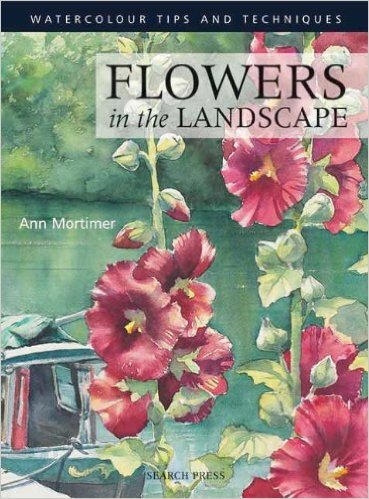 Quite a taxing few days for both of us, but ultimately very satisfying and the sales of the DVD and the feedback we have received, including that great review in Leisure Painter, make us think that it was a worthwhile undertaking. 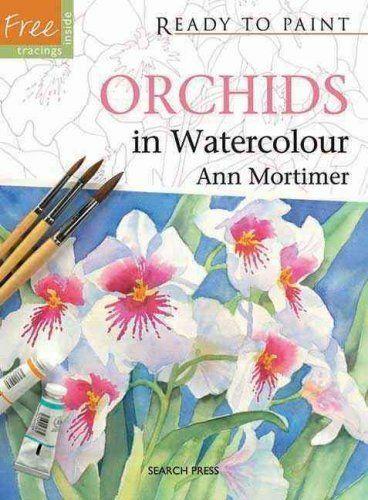 “Watercolour Techniques by Ann Mortimer” has three full demonstrations lasting 1 hour 55 minutes and is available from my website www.annmortimerart.com and also from Amazon. Price £15 plus post and packing. There are three excerpts to watch on the website.